UMANT has a rich history, full of success stories of members who have developed their leadership skills through the organization and then gone on to successful public management careers. Much of UMANT's history has been recorded through pictures, interviews, surveys, and newsletters, but the history of the UMANT logo, it seemed, was lost. That is, until the GURU of North Texas Public Administration...Mr. Bill Pitstick was contacted during the compilation of the 25th Anniversary Managing Memories. It seems that the development of UMANT's logo occurred, as did much of UMANT's development, during Mr. Pitstick's tenure as the Executive Director of the North Central Texas COG. His recollection of the logo design process was swift and nostalgia-filled. Mr. Pitstick explained that all of the logos for the Texas City Management Association, the North Texas City Management Association, and UMANT are based on the logo created for the International City/County Management Association. He said that ICMA's logo of the square inside a circle represented the idea of an international association focused on that bastion of local government - the town square. When TCMA created their logo, they used the same symbols, to show affiliation with ICMA, but inserted the state of Texas inside the square. Then NTCMA used the same ICMA logo as the basis for theirs, but added a star in the northeast corner of the square to represent North Central Texas. When it came time to develop UMANT's logo, Pitstick recalls that the group wanted it to demonstrate the organization's mission and its relationship to other public management groups in the state, so the "town square" idea was again used. 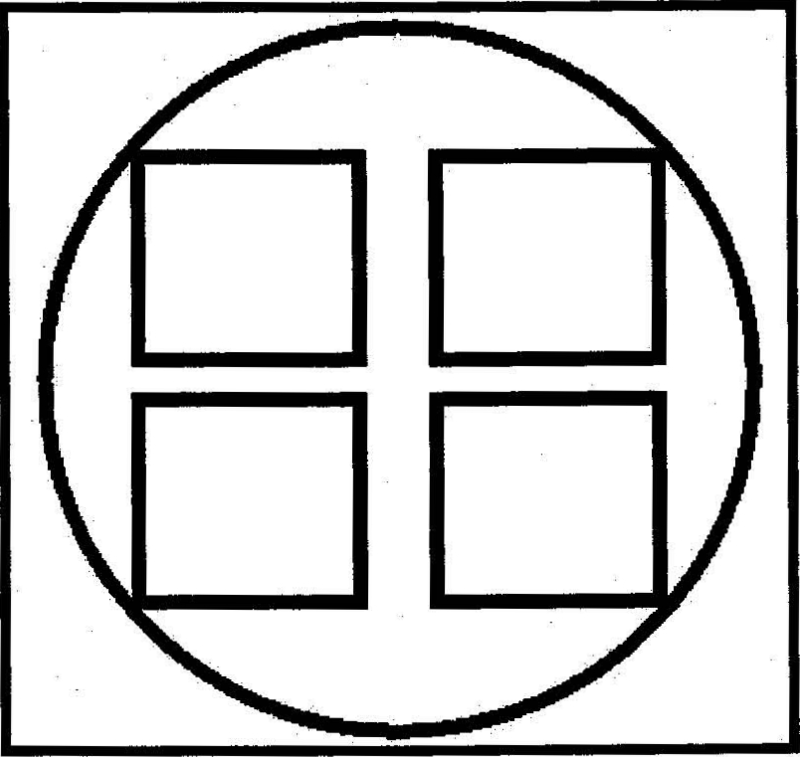 However, since UMANT was, metaphorically speaking, the "offspring' of the other groups, four small squares were placed inside the circle, rather than one large one. Pitstick explained, "UMANT was like the children of TCMA and NTCMA and that's what the four squares were supposed to represent."